Wenninger JA, McEwen GN. International Cosmetic Ingredient Dictionary and Handbook. Washington, DC: The Cosmetic, Toiletry, and Fragrance Association, 1997. Jacobi O. Moisture regulation of the skin. Drug Cosmet Ind 1959; 84:732-812. Rawlings AV, Scott IR, Harding CR, Bowser PA. Stratum corneum moisturization at the molecular level. J Invest Dermatol 1995; 103:731-740. Blank IH. Factors which influence the water content of stratum corneum. J Invest Dermatol 1952; 18:433-440. Budavari S. The Merck Index. Rahway: Merck & Co., Inc., 1989. Ash M, Ash I. Handbook of Pharmaceutical Additives. Hampshire: Gower Publishing Limited, 1995. Rietschel RL, Fowler, JF. Fisher's contact dermatitis. Baltimore: Williams & Wilkins, 1995. The Cosmetic Ingredient Review Expert Panel. Final assessment of the safety assessment of butylene glycol, hexylene glycol, ethoxydiglycol, and dipropylene glycol. J Am Coll Toxicol 1985; 2:223-248. 9. Sugiura M, Hayakawa R. Contact dermatitis due to 1,3-butylene glycol. Contact Derm 1997; 37:90. 10. Fan W, Kinnunen T, Niinimake A, Hannuksela M. Skin reactions to glycols used in dermato-logical and cosmetic vehicles. Am J Contact Derm 1991; 2:181-183. 13. Zimmerman DR. The Essential Guide to Nonprescription Drugs. New York: Harper & Row, 1983. 15. Batt MD, Fairhurst E. Hydration of the stratum corneum. Int J Cosmet Sci 1986; 8:253- S 264. 16. Batt MD, Davis WB, Fairhurst E, Gerrard WA, Ridge BD. Changes in the physical properties of the stratum corneum following treatment with glycerol. J Soc Cosmet Chem 1988; 39:367381. 17. Wilson E, Berardesca E, Maibach H. In vivo transepidermal water loss and skin surface hydration in assessment of moisturization and soap effects. Int J Cosmet Sci 1988; 10:201-211. 18. Lieb LM, Nash RA, Matias JR, Orentreich N. A new in vitro method for transepidermal water loss: a possible method for moisturizer evaluation. J Soc Cosmet Chem 1988; 39:107-119. 19. Grant WM. Toxicology of the Eye. Springfield: Charles C. Thomas, 1986. 20. Balazs EA, Band P. Hyaluronic acid: its structure and use. Cosmet Toilet 1984; 99:65-72. 21. Middleton JD. 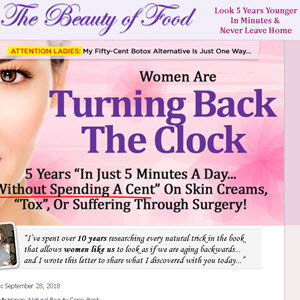 Development of a skin cream designed to reduce dry and flaky skin. J Soc Cosmet Chem 1974; 25:519-534. 22. Berson DS, Shalita AR. 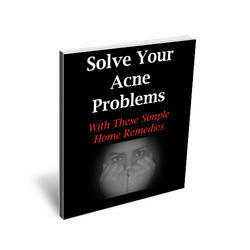 The treatment of acne: the role of combination therapies. J Am Acad Dermatol 1995; 32:S31-41. 23. Prottey C, George D, Leech RW, Black JG, Howes D, Vickers CFH. 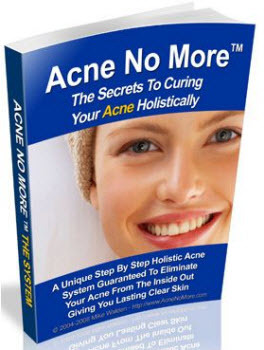 The mode of action of ethyl lactate as a treatment for acne. Br J Dermatol 1984; 110:475-485. 24. Ditre CM, Griffin TD, Murphy GF, et al. Effects of alpha-hydroxy acids on photaged skin: a pilot clinical, histologic, and ultrastructural study. J Am Acad Dermatol 1996; 34:187195. 25. Lavker RM, Kaidbey K, Leyden JJ. Effects of topical ammonium lactate on cutaneous atrophy from a potent topical corticosteroid. J Am Acad Dermatol 1992; 26:535-544. 26. Stiller MJ, Bartolone J, Stern R, et al. Topical 8% glycolic acid and 8% L-lactic acid creams for the treatment of photodamaged skin. A double-blind vehicle-controlled clinical trial. Arch Dermatol 1996; 132:631-636. 27. Glogau RG, Matarasso SL. Chemical face peeling: patient and peeling agent selection. Facial Plast Surg 1995; 11:1-8. 28. Takahashi M, Yamada M, Machida Y. A new method to evaluate the softening effect of cosmetic ingredients on the skin. J Soc Cosmet Chem 1984; 35:171-181. 29. Wehr R, Krochmal L, Bagatell F, Ragsdale W. A controlled two-center study of lactate 12% lotion and a petrolatum-based creme in patients with xerosis. Cutis 1986; 37:205-209. 30. Smith WP. Hydroxy acids and skin aging. Cosmet Toilet 1994; 109:41-48. 31. Smith WP. Comparative effectiveness of alpha-hydroxy acids on skin properties. Int J Cosmet Sci 1996; 18:75-83. 32. Frosch PJ, Kligman AM. A method for appraising the stinging capacity of topically applied substances. J Soc Cosmet Chem 1977; 28:197-209. 33. Effendy I, Kwangsukstith C, Lee LY, Maibach HI. Functional changes in human stratum corneum induced by topical glycolic acid: comparison with all-trans retinoic acid. Acta Derm Venereol (Stockh) 1995; 75:455-458. 34. Schmid-Grendelmeier P, Wyss M, Elsner P. Contact allergy to dexpanthenol. A report of seven cases and review of the literature. Dermatosen 1995; 43:175-178. 36. Stables GI, Wilkinson SM. Allergic contact dermatitis due to panthenol. Contact Derm 1998; 38:236-237. 37. Stuttgen G, Krause H. Panthenol. Arch Klin Exp Dermatol 1960; 209:578-582. 38. Driscoll WR. Panthenol in hair products. D&CI 1975; 116:45-49. 39. The Cosmetic Ingredient Review Expert Panel. Final report on the safety assessment of panthenol and pantothenic acid. J Am Coll Toxicol 1987; 6:139-163. 40. Laden K, Spitzer R. Identification of a natural moisturizing agent in skin. J Soc Cosmet Chem 1967; 18:351-360. 41. 1997 CIR Compendium. PCA and Sodium PCA. Washington, D.C.: Cosmetic Ingredient Review, 1997:106-107. 42. Middleton JD, Roberts ME. Effect of a skin cream containing the sodium salt of pyrrolidone carboxylic acid on dry and flaky skin. J Soc Cosmet Chem 1978; 29:201-205. 43. Larmi E, Lahti A, Hannuksela M. Immediate contact reactions to benzoic acid and the sodium salt of pyrrolidone carboxylic acid. Contact Derm 1989; 20:38-40. 44. Cantazaro JM, Smith JG. Propylene glycol dermatitis. J Am Acad Dermatol 1991; 24:90-95. 45. Goldsmith LA, Baden HP. Propylene glycol with occlusion for treatment of ichthyosis. JAMA 1972; 220:579-580. 46. Ganemo A, Vahlquist A. Lamellar ichthyosis is markedly improved by a novel combination of emollients. Br J Dermatol 1997; 137:1011-1031. 47. Faergemann J, Fredriksson T. Propylene glycol in the treatment of tinea versicolor. Acta Derm Venereol (Stockh) 1980; 60:92-93. 48. Faergemann J. Propylene glycol in the treatment of seborrheic dermatitis of the scalp: a doubleblind study. Cutis 1988; 42:69-71. 49. Final report of the safety assessment of propylene glycol and polypropylene glycols (PPG-9,-12,-15,-17,-20,-26,-30, and 34). J Am Coll Toxicol 1996; 13:6. 50. Funk JO, Maibach HI. 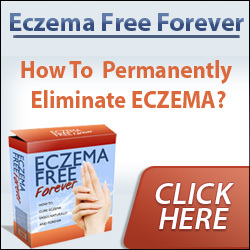 Propylene glycol dermatitis: re-evaluation of an old problem. Contact Derm 1994; 31:236-241. 51. The Cosmetic Ingredient Review Expert Panel. Final report on the safety assessment of potas-sium-coco-hydrolyzed animal protein and triethanolamine-coco-hydrolyzed animal protein. J Am Coll Toxicol 1983; 2:75-86. 52. The Cosmetic Ingredient Review Expert Panel. Final report on the safety assessment of wheat flour and wheat starch. J Environ Pathol Toxicol 1980; 4:19-32. 53. Janssens V, Morren M, Dooms-Goossens A, Degreef H. Protein contact dermatitis: myth or reality? Br J Dermatol 1995; 132:1-6. 54. Freeman S, Lee M-S. Contact urticaria to hair conditioner. Contact Derm 1996; 35:195-196. 55. Rovesti P, Ricciardi D. New experiments on the use of sorbitol in the field of cosmetics. P & EOR 1959; 771-774. 56. Rosten M. The treatment of ichthyosis and hyperkeratotic conditions with urea. Aust J Derma-tol 1970; 11:142-144. 57. Fritsch H, Stettendorf S, Hegemann L. Ultrastructural changes in onchomycosis during the treatment with bifonazole/urea ointment. Dermatology 1992;185:32-36. 58. Swanbeck G. A new treatment of ichthyosis and other hyperkeratotic conditions. Acta Derm Venereol (Stockh) 1968; 48:123-127. 59. Grice K, Sattar H, Baker H. Urea and retinoic acid in ichthyosis and their effect on transepider-mal water loss and water holding capacity of stratum corneum. Acta Derm Venereol (Stockh) 1973; 53:114-118. 60. Hellgren L, Larsson K. On the effect of urea on human epidermis. Dermatologica 1974; 149: 289-293. 61. Wohlrab W. The influence of urea on the penetration kinetics of vitamin-A acid into human skin. Z Hautkr 1990; 65:803-805. 62. Kim CK, Kim JJ, Chi SC, Shim CK. Effect of fatty acids and urea on the penetration of ketoprofen through rat skin. Int J Pharm 1993; 99:109-118. 63. Beastall J, Guy RH, Hadgraft J, Wilding I. The influence of urea on percutaneous absorption. Pharm Res 1986; 3:294-297. 64. Lippold BC, Hackemuller D. The influence of skin moisturizers on drug penetration in vivo. Int J Pharm 1990; 61:205-211. 65. Wahlberg JE, Swanbeck G. The effect of urea and lactic acid on the percutaneous absorption of hydrocortisone. Acta Derm Venereol (Stockh) 1973; 53:207-210. 66. Loden M. Urea-containing moisturizers influence barrier properties of normal skin. Arch Dermatol Res 1996; 288:103-107. 67. Loden M. Barrier recovery and influence of irritant stimuli in skin treated with a moisturizing cream. Contact Derm 1997; 36:256-260. 68. Swanbeck G. Urea in the treatment of dry skin. Acta Derm Venereol (Stockh) 1992; 177 (suppl):7-8. 69. Serup J. A double-blind comparison of two creams containing urea as the active ingredient. Assessment of efficacy and side-effects by non-invasive techniques and a clinical scoring scheme. Acta Derm Venereol (Stockh) 1992; 177(suppl):34-38. 70. Fredriksson T, Gip L. Urea creams in the treatment of dry skin and hand dermatitis. Int J Dermatol 1975; 32:442-444. 71. Gabard B, Nook T, Muller KH. Tolerance of the lesioned skin to dermatological formulations. J Appl Cosmetol 1991; 9:25-30. 72. Rieger MM, Deem DE. Skin moisturizers. II. The effects of cosmetic ingredients on human stratum corneum. J Soc Cosmet Chem 1974; 25:253-262. 73. Huttinger R. Restoring hydrophilic properties to the stratum corneum—a new humectant. Cos-met Toilet 1978; 93:61-62.